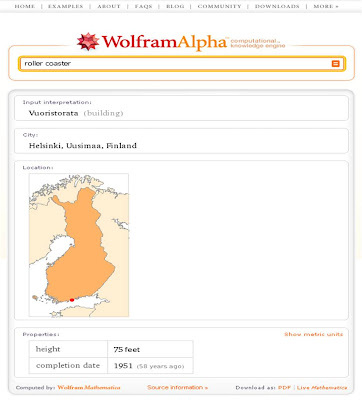 Wolfram Alpha v Google Squared - FIGHT! However, Google keep innovating and today's Google Labs reveal of Google Squared, shows how Google are continuing to evolve in the presentation of search results. * Facts about your topic are organized as a table of items and attributes (we call them "Squares" for fun). * Customize these Squares to see just the items and attributes you're interested in. * See the websites that served as sources for the information in your Square. The Google Blog writes "While gathering facts from across the Internet is relatively easy (albeit tedious) for humans to do, it's far more difficult for computers to do automatically. Google Squared is a first step towards solving that challenge. It essentially searches the web to find the types of facts you might be interested in, extracts them and presents them in a meaningful way." 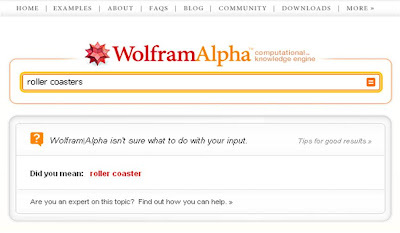 Starting to sound a bit like some of the Wolfram Alpha releases of recent weeks??? Google Squared is still developmental, but follows the recent release of another Google search visualisation, Wonder Wheel. 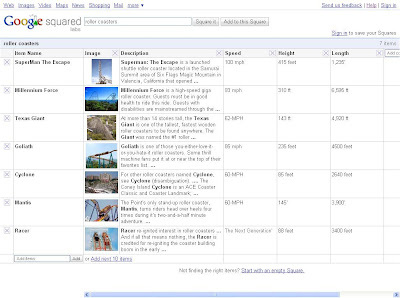 Google Squared looks interesting though as it seems to be able to offer more stuctured results / sense from the masses of information that Google now indexes. Google Squared also shows that while we are seeing a plethora of new Search Engines (Bing, Wolfram Alpha etc), Google are not standing still! So is Google Squared a round 2 KO for Wolfram Alpha or is this fight going to go the distance??? ?